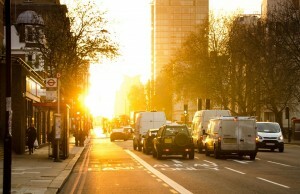 The harmful sun rays and the extreme heat can damage your vehicle immensely. To ensure it will be able to put up against the harsh conditions, read and follow the tips in this post. Summer, with its blazing sun and high temperatures, can take a toll on you. What's more, it can even take a toll on your vehicle. According to Prestige Imports, the sun can damage your vehicle's paint, its tires, its fluids, and more. That's why you should make an effort to protect your vehicle during the summer heat. For a few tips on the matter, continue reading. Purchase AMSOIL products to maintain your vehicle in top shape this summer! Call Superior Synthetics LLC at (715) 823-6525 for more information. When the sun is beaming down on you, you wear sunscreen, a hat, sunglasses, or shield yourself in the shade to prevent some of the damaging effects it can have on you. Well, why not do the same thing for your vehicle? There are a couple of methods you can use to protect it from the sun. For starters, you can use windshield and window sun shades whenever possible to divert the harmful rays and keep them from damaging your vehicle's dashboard and interiors. Another method is to always try to find a shade to park in (even if it's farther away). This will keep your whole vehicle safe, and will ensure it won't be burning hot when you get back into it. The sun rays and the heat can do more than affect your vehicle's paint and interiors. In fact, your battery can get stressed when the conditions are extreme. Now, you may recognize the battery as an instrumental component of your vehicle, since it is responsible for providing the power needed to enable a bunch of its functions. Needless to say, you wouldn't want it to malfunction due to the heat. That's why it's especially important to keep it mind during this time of year, and to maintain it or replace it as needed. The engine works hard to get you where you want to go. When it does, it can get heated because of the friction that goes on between its moving parts. Add to that the hot temperatures, and you're looking at an overheated engine. Luckily, there's a cooling system responsible for regulating its temperature. However, that cooling system won't be able to do much if it doesn't have the right coolant in it, so remember to maintain it effectively over the summer. Likewise, you should be mindful of the synthetic oil, as it helps reduce that friction, smooth out the engine's processes, and alleviate some of its stress, which can lower its temperature. Browse AMSOIL's online store for coolant and the best synthetic oil in Marion. Call Superior Synthetics LLC at (715) 823-6525 for more information. Your vehicle's tires have to endure a lot as it is: they hold the weight of the vehicle and its contents up, they move and stop it, and they are constantly being rubbed against the road. During the summer, however, they also need to withstand the scorching hot surfaces. To give them a fighting chance against these harsh conditions, take better care of them. Inspect them regularly and inflate them as needed. If your tires are worn down, replace them as soon as possible to avoid a mishap. If your vehicle has overheated in the past, you may also want to have a bottle of coolant or water as a preventive measure, especially when the temperatures start to rise. This way, you'll be able to cool your engine down in case it overheats. Just remember that using water is just an alternative. If you do end up using it, you will need to switch it up for coolant soon, since it's likely your vehicle will overheat again at some point. Finally, something you should do no matter what time of year it is, is visit your mechanic with regularity. Having your vehicle inspected by a professional is the best way to ensure it will be able to endure whatever challenge it faces. Moreover, a reliable mechanic will give you specific tips on how you can keep your vehicle cool for the summer. Call Superior Synthetics LLC at (715) 823-6525 to learn more about how AMSOIL and its synthetic oil in Marion can save you time and money on your vehicle's maintenance.